Plans are well under way for our 2020 show. Check back often for more updated information. The 2018 show was wonderful! Not only did we showcase our member's many beautiful quilts, our Marketplace was well organized and full of great gifts. The Vendor aisle was packed with great new ideas and supplies to get us started. Thank you to all of our members for the dedication and hard work, and to the wonderful show guests! 2018 Show slideshow here. . . Program to be finalized in the spring. Congratulations to Diane Grayson, Chino Valley! See more winners/more of the show here. . .
Friday, Oct. 13, 2016 10 a.m. to 5 p.m. Please; no strollers, shopping carts, or food/beverages on the show floor. 1036 N. Road 1 West, Chino Valley, Ariz. Parking is ample and free. 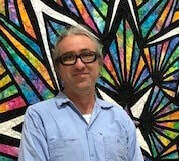 ​See Mark and other winners here. . .
We are very pleased to announce that our quilt won a First Place Blue Ribbon in our class and division at the Yavapai County Fair on September 9. Congratulations to our members that worked on creating the quilt and those that volunteered so many hours of their time to sell the raffle tickets. Would you love to win this stunningly beautiful bed quilt? Simply select the "Enter to Win" button above and fill out the contact us form. One of our members will contact you shortly to determine your ticket purchase and delivery. Each Opportunity Quilt is created by a different Chino Valley Quilters member or group of members every other year and raffled off to raise funds supporting our work in the community. ​We begin selling raffle tickets about a year prior to the quilt show and display the Opportunity Quilt at community events around Chino Valley, Prescott, Prescott Valley, Flagstaff and many other Arizona locations. A new Opportunity Quilt is presented at each biennial show. Funds raised from each Opportunity Quilt raffle help the Chino Valley Quilters donate quilts to area children, families, veterans and many others. 2016 Opportunity Quilt Spirit of Chino. 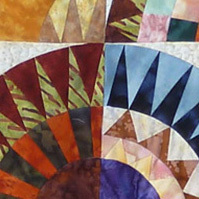 The quilt pattern was selected and pieced together by many members. Susan Gates Harms led the group by opening up her sewing room to all who wished to donate their time and expertise. ​​See our Opportunity Quilt gallery here. . . 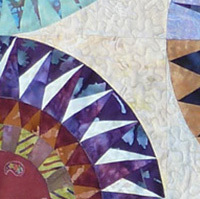 The opportunity for quilters to see and discuss each others' work is educational and inspiring, and a favorite part of the Chino Valley Quilters Quilt Show. A competition judged by members and other show attendees awards prizes in several categories. 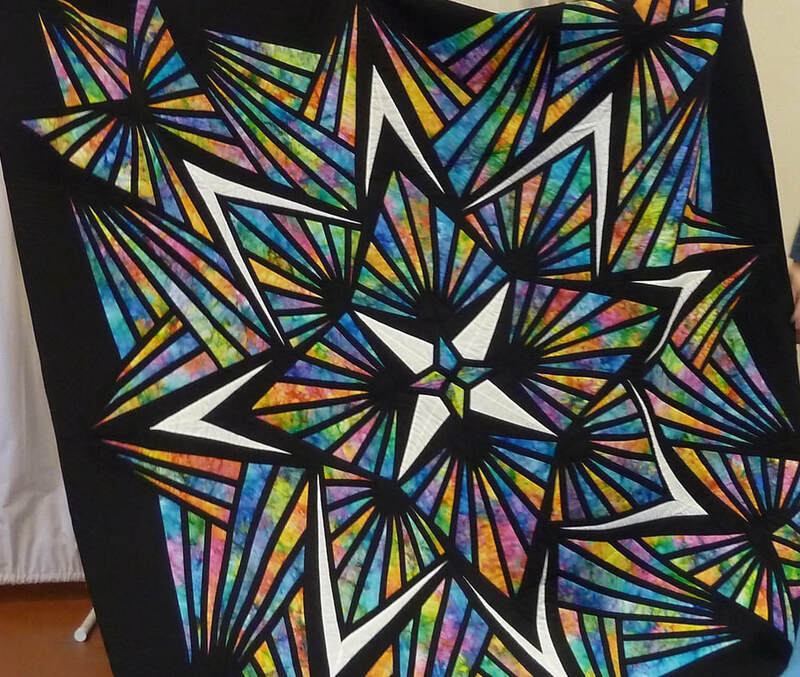 If you are a Chino Valley Quilters member who would like to enter a project for display or competition, see our Quilt Submission Guidelines and Application. If you are not a member but are interested in membership, see our information about how to join. More than 500 quilters and sewing enthusiasts attended our exposition and vendor fair, helping us raise funds for our many community-support projects. Vendors included fabric and notions shops, sewing machine purveyors, authors, quilting consultants and community organizations. The Vendor Fair is set up right on the main show floor and participating vendors, sponsors and others who support the show are given special recognition. Interested in a booth, sponsorship or giveaways donation? Read more. Arizona Shuttle, Prescott – Shuttle service from Sky Harbor Airport in Phoenix to Prescott. Granite Creek Vineyards –– Come taste the Arizona Territory through these award-winning Certified Organic wines. Lavender Farm & Tea House –– Experience the wonderful scents of lavender , a monthly tea party and delicious luncheon (Please call for a reservation). 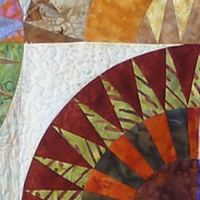 We value the art of quilting and strive to protect the creative property rights of members, vendors and affiliates. You are welcome to take photos for personal use. Photos may not be used for promotional or commercial purposes without permission from the quilter, person in the photo and/or the guild. Many quilts displayed in our vendors' booths promote patterns for sale, so please ask permission before taking photos. Food and fabric just don't mix, so food and beverages are prohibited from the show floor. Wheelchairs, walkers and assistance vehicles are permitted. No strollers or rolling shopping carts are permitted.